The Community Foundation offers a personal, local and flexible approach to giving. We match donors with community causes they care deeply about and offer extensive knowledge about local charitable organizations and emerging community needs. This chart compares establishing a donor advised fund with the Community Foundation to an alternative of creating a private foundation. A comparison to assist in choosing the philanthropic option that is best for you. Donor Involvement Donor recommends grants to qualified organizations or discretionary fund. Grants are approved by board of directors. Donor appoints board, which controls investments and grantmaking. Cash* Up to 50% of adjusted gross income. Up to 30% of adjusted gross income. Stock and Real Estate* Fair market value up to 30% of adjusted gross income. Fair market value up to 20% of adjusted gross income. Income Tax Considerations No excise tax on fund's investment income. 2% excise tax on investment income. Donors of Endow Iowa qualified funds can receive a 25% Iowa state tax credit in addition to normal federal deductions. Does not qualify for Endow Iowa state tax credits. Grantmaking/Scholarship Support Professional staff is available to help identify grantees, provide input on community needs and verify nonprofit status of organizations. Board must determine nonprofit and community needs. Ultimate current and future purpose defined by donor. Purpose may be changed by future Board. Broad flexibility in grantmaking. Flexibility of grantmaking is determined by the board. Handles accounting, audit, due diligence, check writing, etc. PF responsible for all costs including payroll, audit, compliance, legal, etc. Professionally managed, diversified investment portfolio. Investment vehicles selected and overseen by the board. Pooled administration, audit and investment fees, typically 1.5% overall fee. Investment management fees are responsibility of PF. No annual minimum fund distribution. Annual required minimum payout of 5% of assets.  Community Foundation handles reporting. Annual 990 tax form must be filed. Start-up costs No cost Legal, accounting and filing fees. Visibility Flexible donor preferences including anonymity or public recognition. Full public disclosure of grants and balance. Marketing Professional staff to develop fund materials. Responsible for marketing materials. * Based on IRS regulations as of 8/8/2014.